What do Hybrid children need ? Hugs. I recently took a day workshop titled “The Power of Feeling Safe, the Neurobiology and Neurophysiology of Stress and Trauma”, inspired by the Polyvagal Theory of Doctor Stephen Porges. Lina Hack and Al and Moira Theede. Attended by Nurses, Therapists, Technologists, Veterinarians, Yoga Instructors and more, this was a wonderful experience and a fountain of dot connecting information for me. The fact is we are always assessing our environment for safety. My explanation for how we do this is summed up in my previous blog Chakras 101. 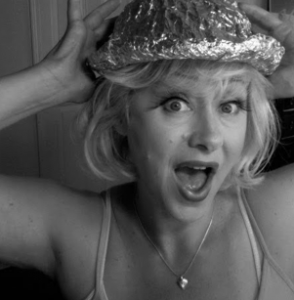 It is a culmination of research explaining how information is processed through our subtle or interdimentional bodies. Safety is the basis of the formation of Social Bonds with others. Neruoception is a term devised by Dr Porges describing the continuous unconscious process of determining our safety. Is this the term we can now use in relation to the action of the Human Chakra Torsion fields ? 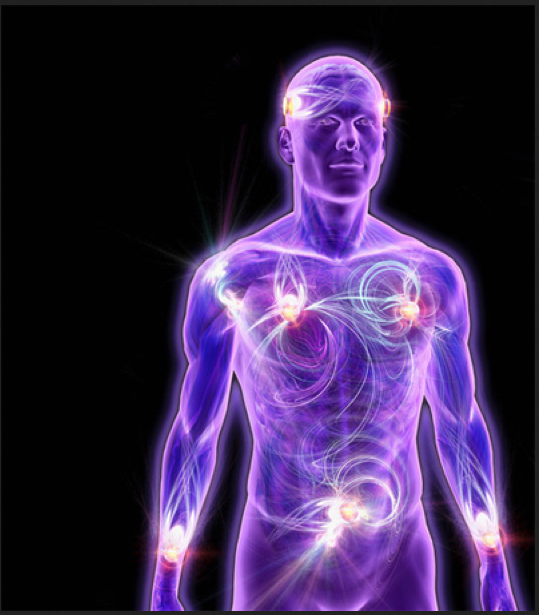 The human nervous system senses inside and outside the body. It provides complex responses determining our behavior including nervous and visceral regulation. The Power of Feeling Safe informs important neurophysiological processes such as growth, restoration and health. 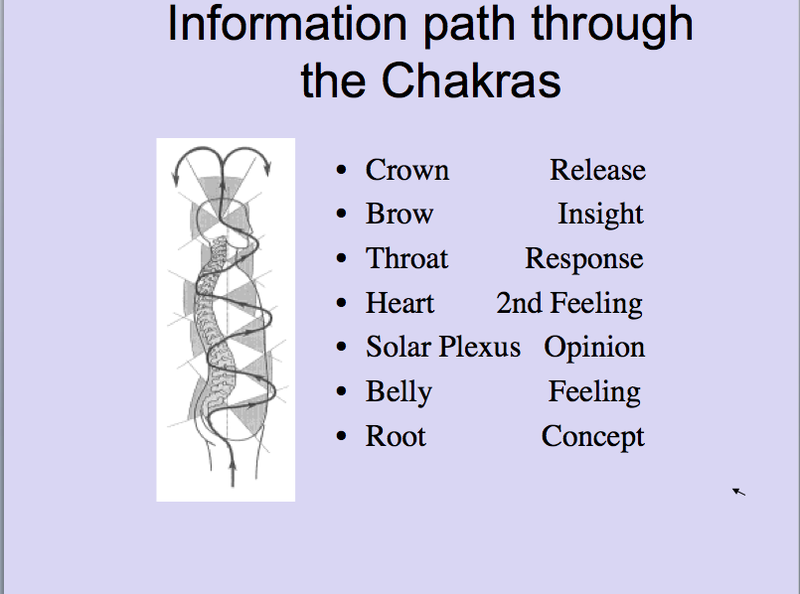 I contend this is exactly what I am talking about when I describe the Information path through the Chakras. This is powerful proof that the experience of feeling safe and connected to others is key to the quality of not only Human but ALL life. Creating or receiving experiences of authentic human connection and feeling safe, builds up our Polvagal Love bank, allowing our body to heal and renew, maintaining a homeostasis of harmony and balance. If we can grasp the importance of it, this simple natural truth can add quality to our families, work places, institutions and societies. Respect for this concept can indeed change the world. We learned that the Vagal nervous system is more evolved in mammals. The turtle, snake or reptile system is the unmyelinated Dorsal Vagal, governing fight or flight or freeze. Mammals also have this Dorsal system as well the myelinated Ventral Vagal Complex, regulating options allowing for social communication. With increased neural complexity seen in mammals (due to phylogenetic development) evolved a more sophisticated system to enrich behavioral and effective responses to an increasingly complex environment. The ventral branch of the vagus originates in the nucleus ambiguus and is myelinated to provide more control and speed in responding. This branch is also known as the “smart vagus” because it is associated with the regulation of sympathetic “fight or flight” behaviors in the service of social affiliate behaviors. These behaviors include social communication and self-soothing and calming. In other words, this branch of the vagus can inhibit or disinhibit defensive limbic circuits, depending on the situation. I had a freeze experience once on a big theatre stage, when all the lights exploded at once due to a power surge. Traumatized, my Dorsal Vagal cut right in and I collapsed to the floor in the darkness. Even my perception of myself was only from the waist up. My basic reptilian freeze response over rode my higher ability to run away. My body reaction allowed me to stay put, an evolutionary response to keep me safe. Not until the Stage Manger and her Flash light found and touched me, was I able to feel safe, reconnect, stand up and walk off the stage. This got me thinking about Human Touch. Touch is how we make each other feel safe. Touch is how we communicate connectivity with another. There is a need for actual physical touch in order for babies to thrive and survive. So much so that people volunteer to hold and rock babies in hospitals. Women who report abduction experiences, who become pregnant, then not, are sometimes abducted again and asked to cuddle babies, who they are told, are theirs. They are told if they do not hold the hybrid children they will not thrive and eventually die. The elderly in our society are most at risk of suffering from human touch deficit. renders us bankrupt of Polyvagal Love. Authentic caring, human interaction and harmonious social dynamics are needed for maintaining balance and health. At the workshop they showed a video of a mother playfully interacting with a baby. They coo and laugh and touch. The eye contact was loving and caring and authentic. Then the mother is asked to ignore the child and stare off to the side and down, keeping a blank face and being still. The baby tries to continue the previous engagement unsuccessfully, reverts to crying and whining to regain mom’s attention before finally giving up, then staring off, becoming disconnected herself. I see this as young mother’s ignore their children in favour of their cell phones in my hospital cafeteria. The workshop called this Biological Rudeness. It’s the same thing when you are sitting having lunch with someone who takes a call during your meal. The connection with you two is broken. We all know the rejected feeling it causes. That is biological rudeness. A Polyvagal bank drainer. Now we know why it hurts. This authentic basic human connection we each need to be healthy and fully functional has finally been identified. A simple hug. An arm around a shoulder. A pat on the back. A high five. A gentle touch on the cheek. A twinkle in the eyes. Taking time to listen and smile in silence. These are simple ways we can fill our own Polyvagal Love Banks and those of others. Let us honour the transformative power of feeling safe.